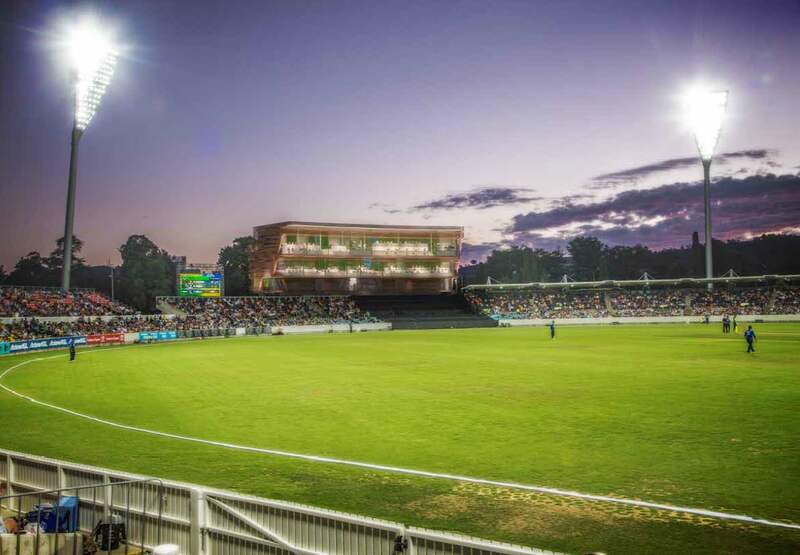 The ACT Government is designing a new media centre for Manuka Oval. Have your say on the draft designs of the new building. Consultation on the Manuka Oval media centre closed on March 30, 2017 after a month long consultation period. The consultation included community workshops and drop in sessions where community members helped to develop a set of guiding principles for the project. Additionally, community members were also invited to provide feedback on draft designs of the project online – the positive feedback received helped inform the design of the media centre. Construction of the new Manuka Media Centre has begun and will be completed in time for Canberra’s first International Test Match during the 2018/19 Summer Cricket Season. This state of the art facility will help bring more world class sport to the ACT. Manuka Oval is hosting more cricket and AFL matches, including Test match cricket for the first time in 2018-19. As announced last year, the ACT Government will be building a new media and broadcast centre at the oval. The new permanent broadcast and media facilities will improve the oval and are essential for our city to host Test cricket. 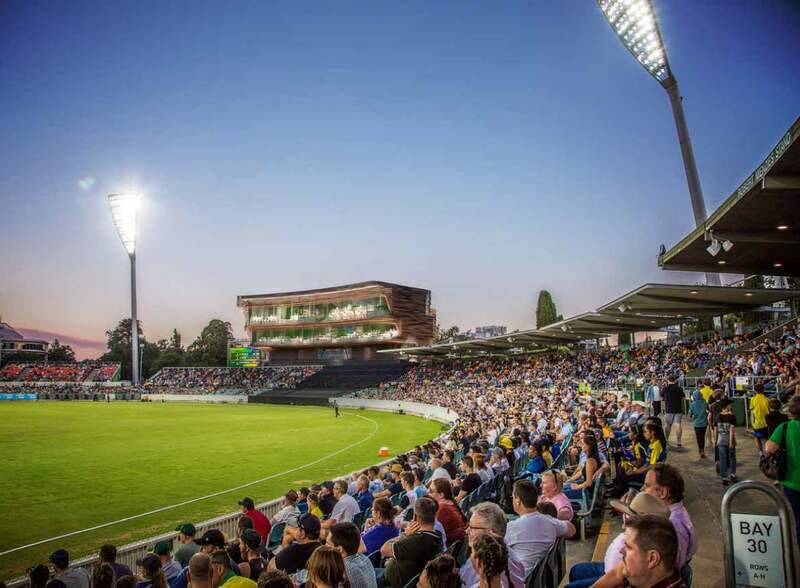 The facility will be a positive long-term economic investment for Canberra, with new revenue opportunities from increased covered seating as well as additional room and function-venue hire when not hosting international cricket. The ACT Government has identified the southern end of the oval (the Canberra Avenue/ Manuka Shops end) as the preferred location for the new media centre. International Cricket Council requirements determine the technical requirements for the centre and these must be achieved in the design of the facility. The government hosted two workshops with community representatives and stakeholder groups in March to seek feedback on draft designs for the centre. A record of the community meeting held on 2 March 2017 with community represenatives. A presentation from the project architect, Populous, which was presented at the workshop with community and stakeholder representatives on Thursday 2 March 2017. A presentation from the project architect, Populous, which was presented at the workshop with community and stakeholder representatives on Thursday 23 March 2017. A record of the community meeting held on 23 March 2017 with community represenatives. 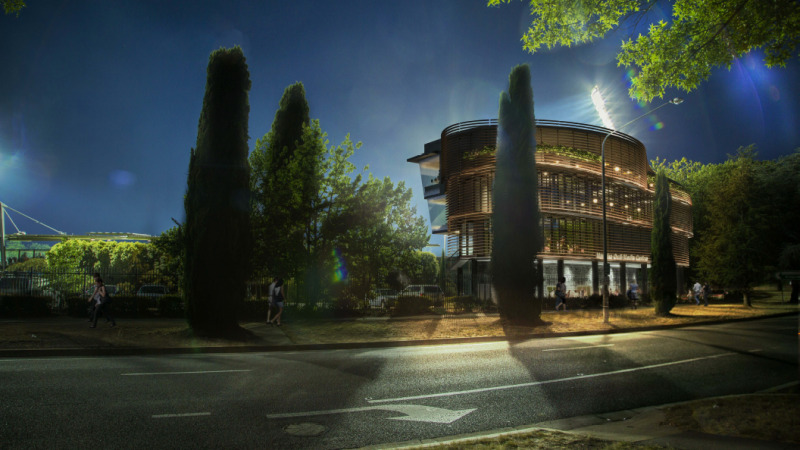 Design of the building should complement the heritage aspects of the Manuka Oval precinct. This includes respecting the ‘circle of trees’ that surround the Oval and are an important part of the Manuka Oval experience. Building on and enhancing the geometry and shape of the Oval. Not seeking to replicate, but rather compliment the heritage items and buildings in the Manuka Oval precinct. Preserving and complementing the circle of trees. Design of the facility to compliment the Pavilion typology of the other buildings at Manuka Oval. The size of the building on the landscape should be softened through the use of additional plantings, particularly large trees and greening of the building through the use of plant features. The building should seek to blend more into the natural environment. 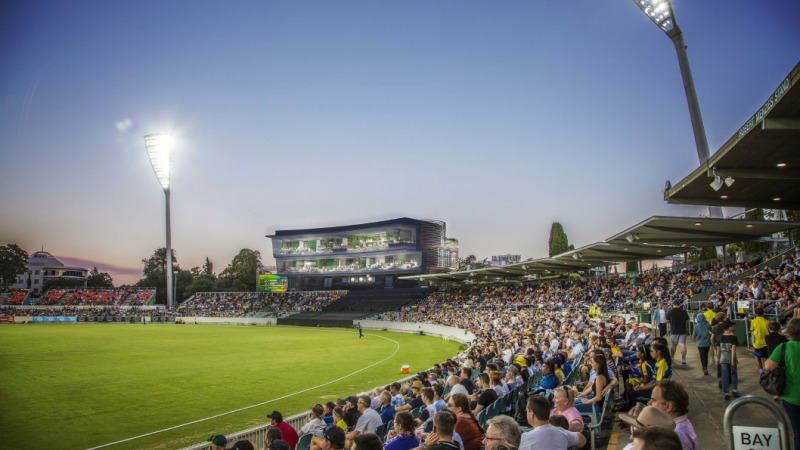 The design of the building needs to be of a high quality, reflecting the existing standard of design at Manuka Oval. Quality, natural and contextual materials - composite timber battening, double glazing, textured precast walls and amenity of the public realm at entrance level. Create a building with ‘active edges’ responsive both to the street frontage to the south end of the precinct and also facing on to the Oval. A building design that showcases Manuka Oval as a high quality media, sporting and function venue. Composition of the external envelope consider the surrounding context, light and transparency, sun angles, material durability and micro-climatic conditions of the users. Minimising the potential impact of lighting and noise from functions held within the new media centre building should be factored into the design. The impact of building lights on traffic on Canberra Avenue should also be considered. The design of the building should reflect good Energy Efficiency Requirements (EER), with features such as solar panels and rain-water collection. The design should confirm that there will be no corporate advertising on the outside of the building. The incorporation of multi-purpose function spaces should be a high priority in the design of the Media Centre. This function space should be easily accessible by users. The operation of the function space should consider concessional pricing for community organisations. High priority in the design, incorporating flexible function spaces, outdoor function spaces, with quality spaces created that celebrate the Manuka Oval Heritage and Landscape features. New frontage and address to Canberra Avenue allows easy access by users, independent of accessing the entire oval complex for non-match day event use of the facility. Fully accessible design of the facility for all user groups from media,broadcast, VIP and player areas in Cricket Mode, providing varying levels of Hospitality offerings in AFL Mode and Community user and Group hire. The design of the building should take into consideration the security plan for the media centre. In establishing a main entrance on Canberra Avenue, consideration should be given to improving public transport access and pedestrian movements around the site, particularly during large events. Establishing a main entrance on Canberra Avenue raises considerable traffic and pedestrian movement challenges and is not incorporated into this design. This design focuses on providing a new address for users of the Media Centre, including game-day media and users of the function facilities on nongame days to the Manuka Oval precinct. The new address is provided through utilisation of the existing signalised crossing of Canberra Avenue and upgrades to soft, hard landscaping and lighting elements to the south of the new facility. There should be a better explanation of the role of the Canberra Avenue ‘entrance’ or ‘address’ to ensure people understand it is not a mass public entrance for game-day events, but rather access for non-game-day functions held in the media centre building. Will any construction/building work take place outside standard business hours? How noisy will construction be during the build period? What about traffic issues on Canberra Avenue during construction of the media centre? What will you do about any illegal parking around the oval related to construction activities? Who participated in the community and stakeholder representative workshops? Is this consultation part of the previously announced community panel for the Manuka Oval precinct? Why do we need a permanent media centre? What are the International Cricket Council requirements for the media centre? Why is the southern end of the oval preferred? What are the government’s plans for development at Manuka Oval? What is the relationship between the National Capital Authority Development Control Plan (DCP) and the DA for the media centre? How will a new permanent media centre impact the tele-communications network in the area? How will media access the new building? Construction of the media centre begun in February 2018. The media centre will be complete in time for Canberra to host our first International Test during the 2018/19 Summer Cricket Season. Construction will occur during standard construction hours and adhere to all relevant ACT building and construction regulations. The construction work will take place in accordance with the approved Development Application and Building Approval provisions. Temporary traffic arrangements will be put in place to accommodate various stages of the construction, on an as-needs basis. Road and path users will receive notifications of any temporary changes to traffic arrangements. Parking inspectors regularly patrol the Manuka Oval and surrounding precinct to deter illegal and unsafe parking practices. Members of the public are reminded to park legally when in the area, or risk receiving a fine. Organisations participating in the workshop will provide valuable insights from their perspective. We encourage members of the public to contact the relevant workshop member who best reflects their interests. This consultation is specifically about influencing the design of the new media centre within Manuka Oval’s grounds. The previously announced consultation on the future of the wider precinct will take place at a later date and separate to the media centre consultation. The National Capital Authority will soon consult on and complete a new development control plan for the Canberra Avenue and Manuka Circle precinct. On that basis it is sensible to allow the NCA consultation and media and broadcast facilities consultation to proceed, and review the options for a community panel once those processes have been completed. Manuka Oval needs a new media centre to host Canberra’s first Test match, against Sri Lanka in November 2018. Permanent media facilities will improve the prospects of attracting more major events to Canberra. While temporary constructions have been used in the past to accommodate the media requirements that have allowed Canberra to host some of these events, like international limited-overs cricket and a Big Bash final these structures have been a recurring expense to the government and did not meet the standards required to host a Test match. A new media centre on the other hand will be a positive economic investment in the long term with new revenue opportunities from increased under-cover seating and additional room and function-venue hire when not hosting international cricket. Based on ICC requirements for Test match media centres, the new facility will need to have a total area of 1,410 square metres and be about 17.5 metres high and 43 metres wide. It will be built within the current boundaries of Manuka Oval. Print press room with 75 seated desk positions. Access to catering for print press. Press conference facility with room for 50 seated journalists and 10-15 broadcast cameras. TV broadcast compound and storage rooms. Camera deck behind the bowler’s arm. Six radio boxes, each with seating for six people. While the usual preference is to place media centres at the northern end of grounds to avoid glare issues for the media, in this case the southern end is a better location to ensure no impact on the pool and heritage values at the northern end. The centre will have an extended roofline to remove glare issues. There are no current plans for further development at Manuka Oval beyond the media and broadcast facilities. 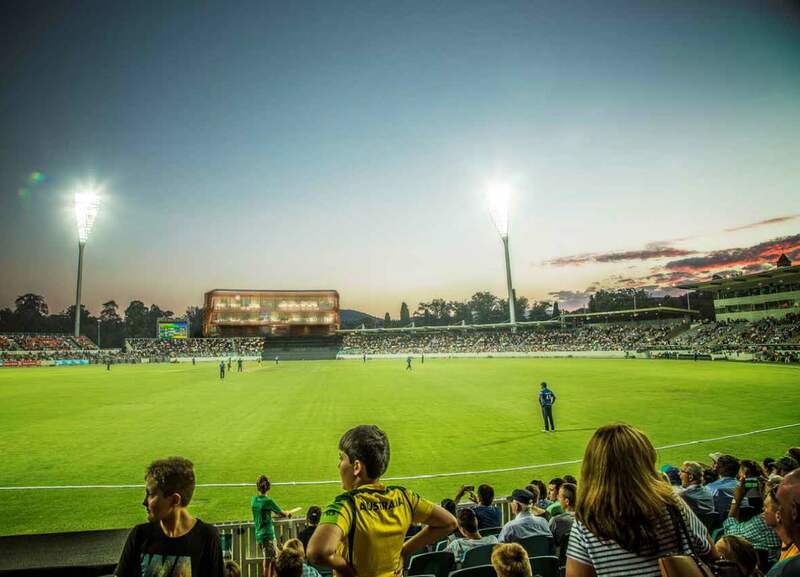 Further improvement may need to be made to Manuka Oval’s infrastructure progressively over time to facilitate its continued use as a major a sporting venue in the ACT and the government will consult with the community on any proposed improvements as they arise. A draft Development Control Plan (DCP) is currently out for consultation by the National Capital Authority (NCA). It can be viewed and commented on here. 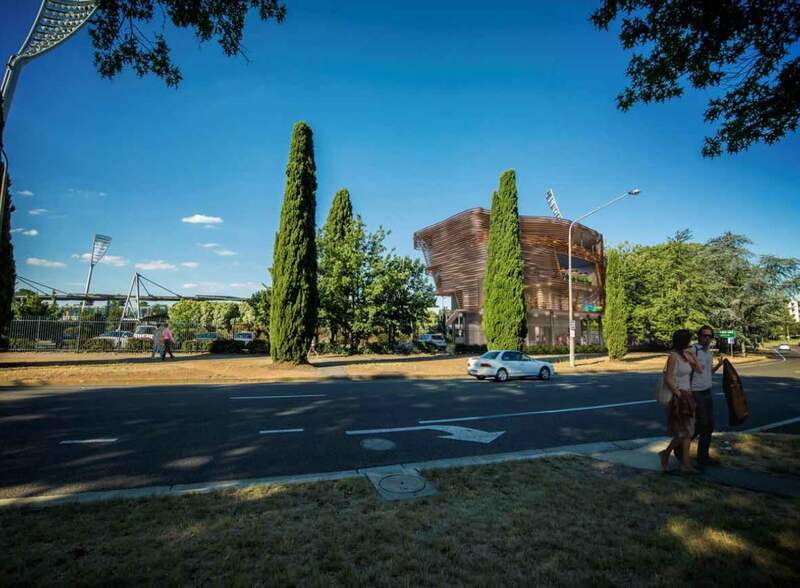 ACTPLA may accept a DA for the Manuka Oval media centre now and assess it against the existing Development Control Plan for the Manuka Circle Precinct. After the DA is lodged the normal ACTPLA processes of completion check, public notification and utility services consultation will occur first. Following these initial steps, the DA would be assessed against the provisions of the Territory Plan and against whichever Development Control Plan is current at the time of assessment. Because Manuka Oval used a DirectIP service the new media centre will not impact telecommunications in the surrounding suburbs. That is, it is connected directly to the Australian Internet cloud via the iiNet gateway. It does not use the iiNet network and would not affect residential services. Media will continue to access the Manuka Oval site as they currently do on game days - via the entrance on Fitzroy Street and Oxley street and using the internal ring road network. How will the general public access the new facility on non-game days for functions and other non media centre uses? On non-game days there will be pedestrian access to the new building directly from the existing footpaths on the northern side of Canberra Avenue. The existing footpaths connect to the signalised pedestrian crossings of Canberra Avenue at Captain Cook Crescent that provides safe and reasonably direct pedestrian access to the building. Direct vehicle access to the building from Captain Cook Crescent is not proposed due to significant traffic safety and landscape impacts. An introduction to the project and focus on developing guiding principles for the new building. Provide your feedback on the draft guiding principles online with the survey. View and provide your feedback of the draft guiding principles for the media centre building. At the second workshop the architects will provide draft designs based on the guiding principles discussed in workshop one, and attendees will be asked to review them and provide feedback. View and feedback on the architectural design concepts for the media centre building. Provide feedback on the draft designs and how they have incorporated the guiding principles. 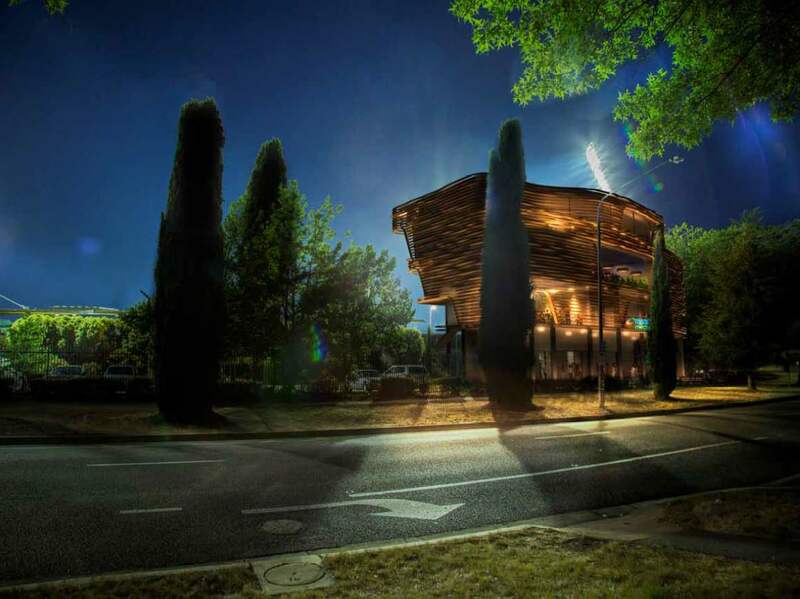 A development application (DA) for the Manuka Oval media centre has been lodged with the Environment, Planning and Sustainable Development Directorate. The centre will be completed in time for Canberra’s for International Test match during the 2018/19 Summer Cricket Season.